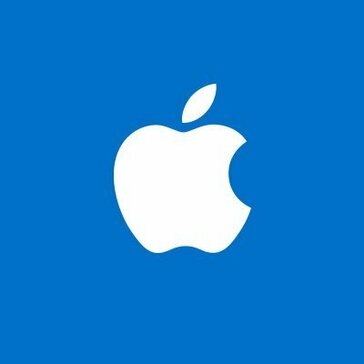 Work for Apple Support Number? Learning about Apple Support Number? Reliable and 24/7 for certain escalations. I was able to use this in highliting benefits of apple support to guide friends and customers to an alternative route to getting support from apple. the changing between representatives and departments is a bit excessive. Keep in mind that most interactions with any apple rep, will be there to tend to all needs. They will ask proper questions and connect empathetically. Assume positive intent that all reps are genuinely assisting. Getting my devices all streamlined and communicating with one another to reduce hiccups with staff or product developers. "Great Support Team but with longer wait time"
I had Apple Support with my MacBook Air and utilized this Apple Support Number to get to their customer service department for help. Their toll free number is 1-800-MY-APPLE (800-692-7753) and helps you out with myriad of issues, including fixing my business MacBook Air laptop over the phone if needed. One caveat/ catch is that you need to be enrolled in the Apple Care program to get the full support from the customer care department. The package itself cost per annum or other basis and can cost you quite a bit if you want to be enrolled in the program for a while. Luckily, some companies can reimburse the cost being enrolled with the plan (as I did) but one may need to think about enrolling in the program for the full benefit and care provided via the Apple Support Number. Just make sure that you are enrolled in their customer support care with your Apple Product so that you can get the best help needed with calling the Apple Support Number. With Apple Support Number, I can get my laptop fixed over the phone while interacting with them as they can control and fix my laptop remotely as I provide the serial number for the laptop. Because of this, I didn't have to leave my work to get my laptop fixed and continue to stay at work and get the laptop fixed during my working hours. We all dread dealing with customer service, however, the customer service is usually on top of addressing the issue in a fairly quick manner. Due to the type of work I do, time is always important, so getting issues resolved quickly is a necessity. It's fairly simple, which could be a good or bad thing depending on the person. I wish they would add a few more features to optimize its potential, but its sufficient to meet the needs of the consumer. The best part about it is additional iOS devices or Mac computers will not increase the cost if that is a concern. Since we have multiple computers this is a must for us. At our office most of the desktops are MAC and naturally issues occur with the devices time to time. "Occasional long wait times, but great service. " I used Apple Support for iPhone, Apple Watch, and a MacBook. Apple Support has always been reliable and knowledgeable. Support staff has always been professional and cheerful and are helpful when walking through a solution or helping to schedule a repair booking. Sometimes there can be a long wait time. That should be expected when using these types of services. The service that you get in return is well worth the wait. They are great at helping to solve problems without having to lose hardware accessibility. If it is a problem that can be fixed remotely, there is no need to send your hardware elsewhere. Also it makes scheduling repair appointments much easier. I like the fact that they will at least try to direct you to where you need to be to resolve an issue. however when you actually need assistance outside of your 90 days. I dislike the pricing of apple support if you are in need of assistance, the KB or knowledge base is your best bet. because the employees read them word for word and then expect you to do as they say. when you could save the cash and simply look up the resolution yourself. Look at the Knowledge Base! It will save you time and Money. Support Yourself! Lack or equipment and functionality. "The best support for consumer electronic companies. " The service is really good, I don't really have anything dislike, to be honest. For business purposes, we were looking for eligibility to join Device Enrollment Program and Apple School Manager. After the conversation, we had a better understanding of both programs and the eligibility details. I like the convenience, they seem like they really are trying hard to fix your problems, they take their time and really try to understand your problem. My issues are usually resolved within a day or two. There is not much I can say about disliking the service, I have never had to wait long, they give you the option to call you back so the only problem Is if you end up playing phone tag. When considering the cost of the product the support cost is understandable. Efficiency, they solve the problems fast and you can get back to working. The Apple Support number was easy to find and the team was quick and efficient in helping solve my problems. Sometimes the wait times can be a little longer than I would like. Have patience through the wait times or call in off-time hours when lines are less busy. Apple Support Number was great to have when my computer/phone software failed and I was in a pinch. They helped me come up with quick solutions or figure out if I needed to bring my product in store for further inspections. "Good service but not very knowledgeable "
They have friendly support employees. They put in god effort to try to help you. Their level of knowledge. They end up referring you to the Apple Store to solve your problem. Giving employees the option to contact Apple Support Number at their convenience. Staff is very friendly and knowledgeable. They work to quickly get your issues resolved. Apple support has some of the best customer service. Sometimes the holding wait time can be a pain because of the high call volume, but I love how knowledgeable the staff always seems. We're still new to this and getting the hang of things so, no complaints yet. We were locked out of our account but the representative was very helpful with solving our issue. Always nice, fast, and polite service. I like how easy it is to put in a report for a problem. I dislike how long it takes to get a reply or how unnecessary information they require. Helpful person to talk to about issues that couldn’t otherwise be resolved. There was somewhat of a lengthy wait time. I am able to resolve issues more quickly because I don’t have to wait for an email response. * We monitor all Apple Support Number reviews to prevent fraudulent reviews and keep review quality high. We do not post reviews by company employees or direct competitors. Validated reviews require the user to submit a screenshot of the product containing their user ID, in order to verify a user is an actual user of the product. Hi there! Are you looking to implement a solution like Apple Support Number?